The advance of PC has seemed unstoppable. No one, apparently, is safe from these shrieking monsters; they point, and they howl, like a bad remake of Invasion of the Body Snatchers, and all of their co-shriekers arrive on cue to denounce the target and tear them down. It doesn’t matter if the target is conservative or liberal or libertarian. Being CEO of Mozilla is no protection; neither is winning a Nobel prize. Even landing a space probe on a comet–on the first try–is not sufficient armor to protect oneself from the attacks of the hordes of harpies. 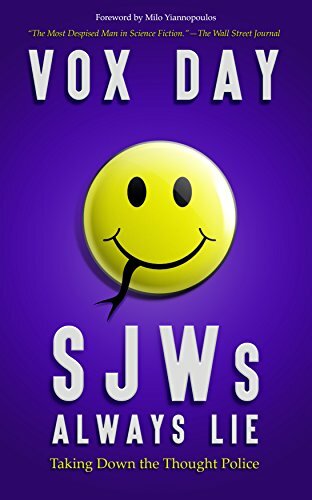 SJWs Always Lie: Takin... Vox Day Check Amazon for Pricing. But last year, something happened. Last year, the hordes were stopped, by the most unlikely of heroes. The Social Justice Warriors–the apex predator of politically correct evolution–decided to take down the last bastion of impure thought, the last place where the mental shackles of political correctness had not yet been fastened. They went after video games. And for the first time in the history of the invasion, the howling hordes were stopped. Cold. The SJWs were mystified. Their standard “point-and-shriek dogpile the target” tactic was useless against a leaderless movement; there were no standout targets to take down. Even the secondary SJW tactic, accusing their targets of guilt-by-association racism, sexism, harassment, and micro-aggression, failed to gain any traction. Gamers of all makes and models rose up with a #NotYourShield shout and refused to budge. Exactly one year after Gamergate was born, the movement is still going strong. The besieging SJWs have been unable to dislodge one brick from the walls of Castle Gamergate. 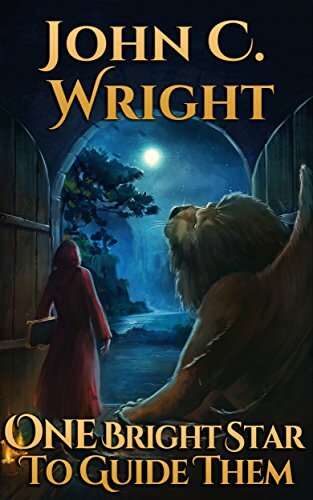 One Bright Star to Gui... John C. Wright Check Amazon for Pricing. If gamers showed that SJWs can be stopped, then the Puppies of both pedigrees demonstrated that they could be beaten. In a series of daring commando raids, the Sad Puppies and Rabid Puppies have relentlessly attacked the SJWs on a different flank, science fiction’s Hugo Awards. According to the Puppies, SJWs have, for decades now, gifted the Hugos to those writers “most deserving” of the award, and not to the “best” works. Over the past twenty years, for example, only 19 out of 266 Hugo awards have gone to conservative writers. The Sad and Rabid Puppies campaigns set out to level the playing field. Last weekend, the SJWs who rule science fiction fandom were forced to retreat with a “scorched earth” tantrum, as they refused to award five of the sixteen Hugo categories–rather than see them presented to a winner not approved by the ruling faction. Gamergate is a line in the sand, “this far, no farther.” The Puppies demonstrate that SJWs can be beaten. What the world needs now is a combat guide–a field manual exposing the SJWs and their tactics, and describing the most effective ways of fighting them, and beating them. 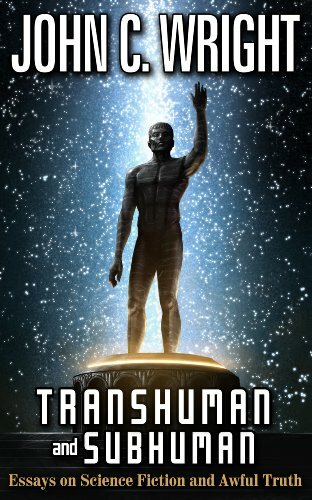 Transhuman and Subhuma... John C. Wright Check Amazon for Pricing. Vox Day has written that manual. “SJWs Always Lie: Taking Down the Thought Police” is a no-holds-barred depiction of the SJW “in the wild.” It contains detailed information on the motivations and behavior of the SJW and, most importantly, how to fight back against them. If the target resigns, the SJWs can wash their hands of any responsibility for the resignation and pretend that the whole affair was merely a private, personal decision on the part of the successfully executed target, a decision that had nothing whatsoever to do with the social pressure to which he’d just been subjected. SJWs are like a firing squad that offers its blindfolded victim a loaded pistol, and then, after a single gunshot rings out, walks away pretending that the victim committed suicide for reasons that no one could possibly know. “What to do when SJWs attack,” chapter seven, is perhaps the most useful as a self-defense guide should you ever find yourself in the crosshairs of the howling horde of harpies. 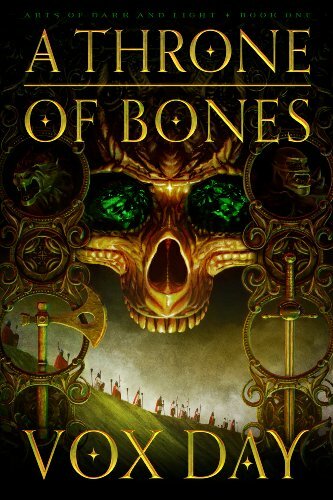 The most important thing to remember is “never apologize.” For a normal, decent person, an A Throne of Bones (Art... Vox Day Check Amazon for Pricing. apology starts the healing process; it demonstrates that an error has occurred and helps the two parties resolve things and move forward. To an SJW, though, an apology is like blood in the water–it’s an acknowledgement that the SJW was correct to attack, and an invitation to attack further. Be aware that once they have launched an attack on you, they will press you hard for an apology and repeatedly imply that if you will just apologize, all will be forgiven. Do not be fooled! I have seen people fall for it time and time again, and the result is always the same. The SJWs are simply looking for a public confession that will confirm their accusations, give them PR cover, and provide them with the ammunition required to discredit and disemploy you. Apologizing will accomplish nothing more than hand them the very weapons they require to destroy you. 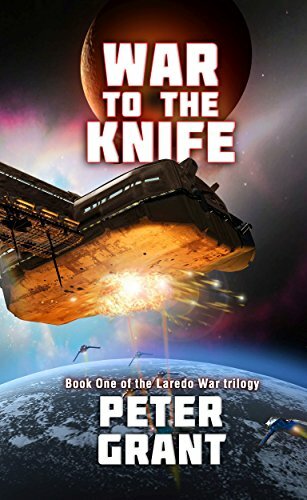 War To The Knife (Lare... Peter Grant Check Amazon for Pricing. While chapter 7 lays out individual defense tactics, chapters eight and nine are more strategic, with advice on how to harden the defenses of not only yourself, but your family, business, church and community against the depradations of SJW attacks. These two chapters go even further, by introducing ways to not only defend against, but counter-attack, as well. It’s time for the invasion of Political Correctness to be halted and rolled back, in the same manner as Charles Martel at Tours. “SJWs Always Lie” is the roadmap for accomplishing that victory. And, considering that it rose past #250 on Amazon within twenty-four hours of release, the SJWs have no clue what’s in store for them. Allan Davis Jr. [send him mail] is a writer and photographer, when he isn’t providing tech support for the Mises Institute. He lives in Alabama with his wife and children, and blogs intermittently at allandavisjr.blogspot.com.